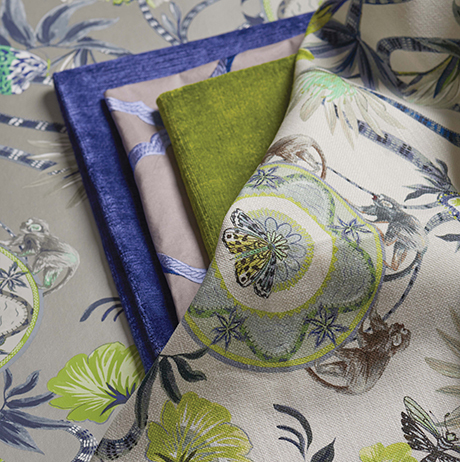 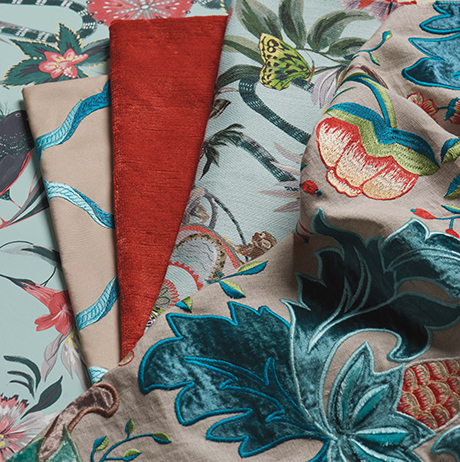 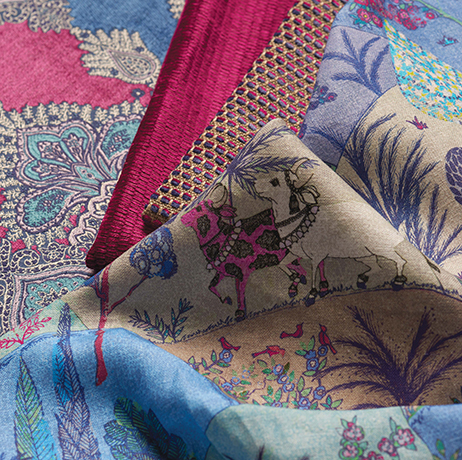 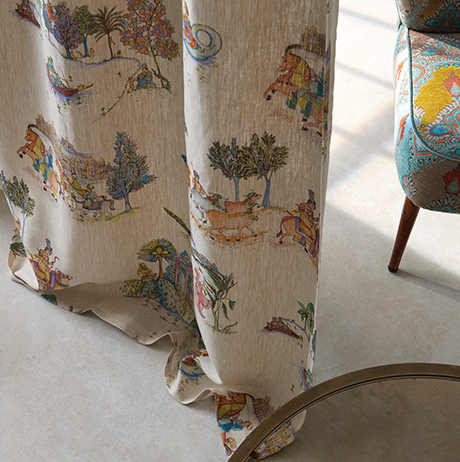 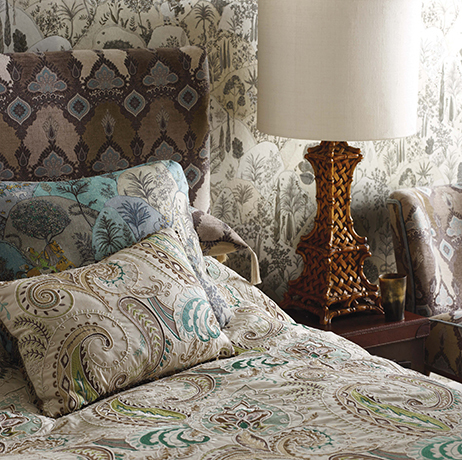 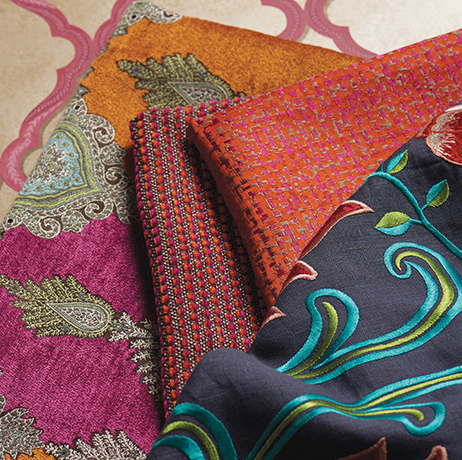 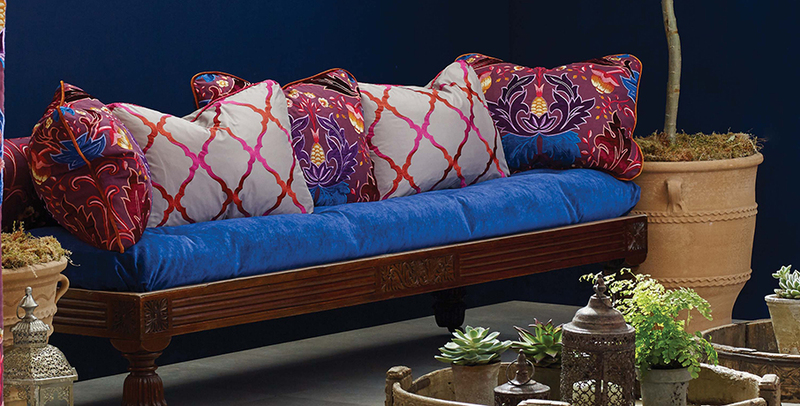 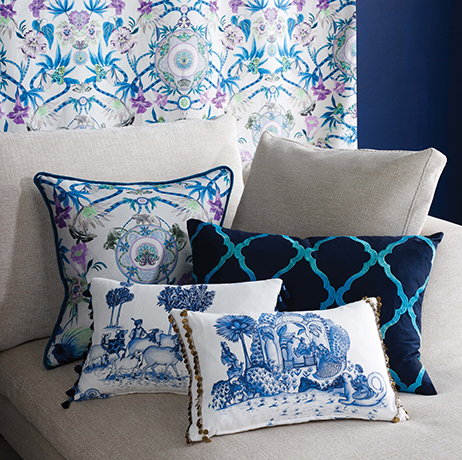 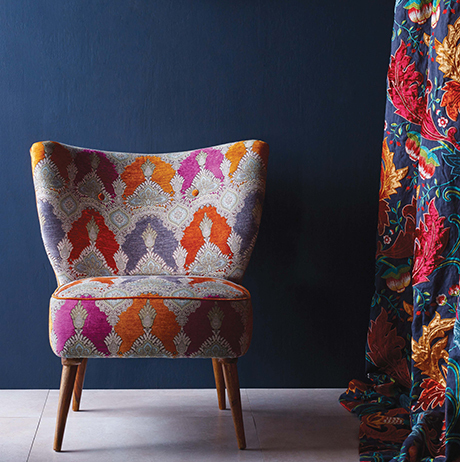 Matthew Williamson's collection of fabrics conjures up images of India with a vibrant, contemporary twist. 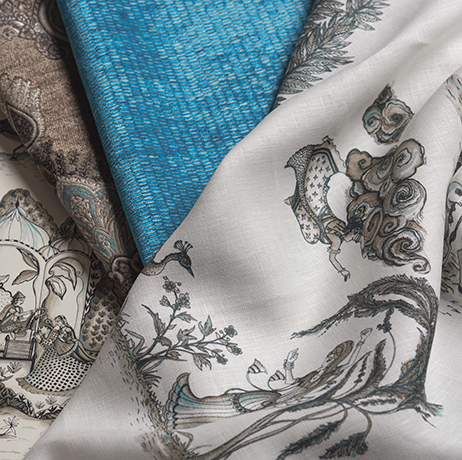 Signature colours including cerise, teal, turquoise and jade are combined with calm tones of linen. 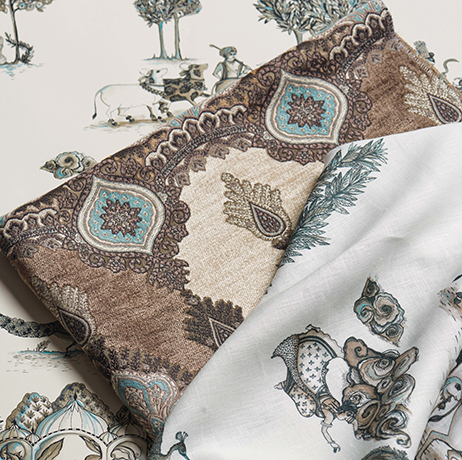  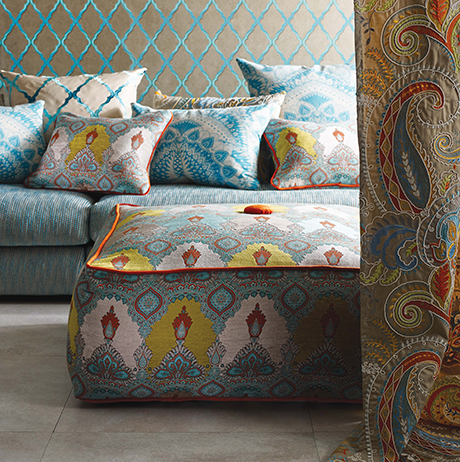 The existing CUBANA WEAVES and MIRAMAR collections provide perfect semi-plain co-ordinates to these patterned fabrics. 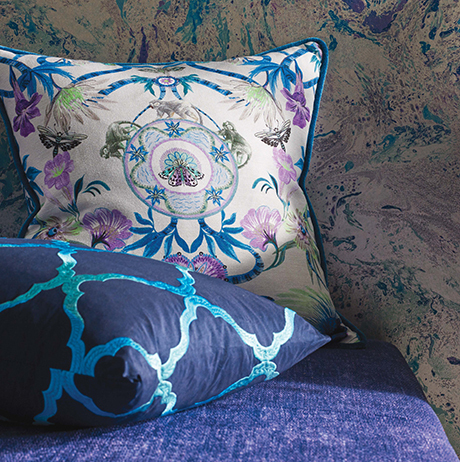 DURBAR WALLPAPERS offers companion and co-ordinating wallcoverings.